I really did not know what to expect. I do know the first post felt weird when I hit the “publish” button. As a former newspaper reporter, it didn’t feel right sending it out into the world of the internet. Over time, though, I started receiving feedback in the form of comments on the blog, on Facebook and through email. I’ve kept to my self-imposed publishing schedule of every Wednesday and Sunday. I’ve often wondered what would happen if I switched days. Would I get more readers? Less? But blogging on Wednesdays and Sundays is now part of my routine, so I think it site stats best not to mess with it. I try to cover a variety of topics related to communications, whether writing, PR, crisis management or social media. Into the mix I’ll share some leadership lessons and some author profiles. Since starting this blog, I’ve published 221 blogs. During NFPW conferences and board meetings I blog more often. WordPress reports that I’ve had more than 8,100 views since I began the blog. Is that good? I don’t know because I’ve broken my own advice, which is to measure it. I didn’t set any goals except to share information. I wasn’t focused on numbers. So now seems like a good time to set my first goal, which is to reach 10,000 views before the year is out. I’ve also been challenged to find photos to illustrate the blog. I’m having fun as an amateur photographer finding the perfect illustration. Museums, parks and meetings are my favorite places to shoot photos for the blog. Some evenings, I experiment with objects from my desk. 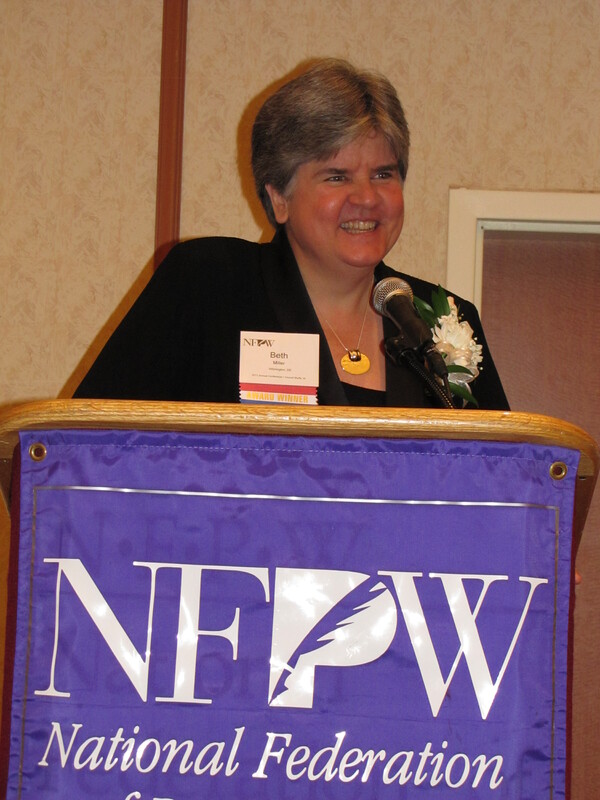 Even though my term as NFPW president has ended, I am continuing the blog. I enjoy the connections I’ve made to members and bloggers, and you’ve told me that the topics are helpful. So as long as I am contributing to the conversation, I’ll keep blogging. I hope you’ll keep sending ideas and commenting and sharing. When is the last time you updated your resume? If it’s been a while, now is the time to do so as September is Update Your Resume Month. Add conferences, workshops and events you have attended. For those who attended the 2011 NFPW conference, include it on your resume. Include awards, honors and certifications. compatibility, save your document in MS Word 1997-2003 version. 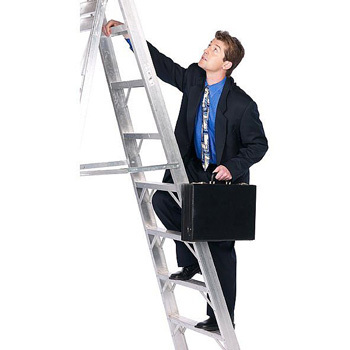 This way you can be sure the firm can open your resume. raise suspicion as to ‘what are you hiding?’ ” Susan says. If you are not working, show you’re currently doing something, as in volunteer work or taking classes. 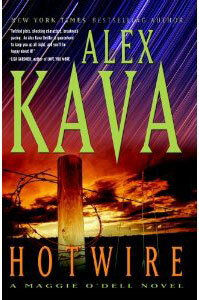 Alex Kava, who has written 11 novels, including nine in the critically acclaimed Maggie O’Dell series, grew up in the small town of Silver Creek, Neb. As an aspiring writer she was always told to write about what she knows. She shared some of what she has learned. Persistence is just as important as talent. Alex said she received 116 rejections from literary agents. Her first novel still sits in the bottom of a drawer, although she is thinking about turning it into an e-book. Today her novels are published in 24 countries. When you bump your head against the glass ceiling, you look for any crack you can find and you improvise. Alex, whose real name is Sharon, said when she submitted her novel agents would tell her to tone it down, that it was too violent and that she should add some romance. “They were really telling me they had no idea how to sell something that wasn’t romantic suspense,” she said. Recognizing that her name was an obstacle, she changed it to one that could be misconstrued. She wasn’t mad that she had to do it because she figured if agents couldn’t tell if a man or a woman had written the book, it was a compliment to her writing. The same holds true for her character Maggie O’Dell. The character, Alex said, can’t have as many one night stands as a male protagonist. And she can’t cry, drink excessively or swear. Truth is stranger than fiction. “If my readers can’t tell what’s fact and what’s fiction, then I’ve done my job,” Alex said. If she doesn’t know something, she researches it, and as she noted, “I learned all kinds of information that you can’t use at cocktail parties.” She knows the difference between a floater (body in the water) and a flyer (someone who is pushed or jumps to their death). She knows how a taser works. And she knows when a body starts to decompose. If you are going to be a writer, you have to have very thick skin. “Your success will depend more on how you respond to what they say then on what they say,” the author said. Eleven novels into her career, Alex Kava doesn’t write what she knows, but rather what she loves. The other week, I was celebrating a friend’s milestone birthday, and we discussed where we’d been and where we are now. A friend commented to me that when we were first met, she would never have envisioned me doing what I’m doing today – leadership role with an international NGO traveling the globe and a leadership role with a national communications group. Frankly, I would not have thought it either, but not because I didn’t think I could not do it, but simply because I never know where I’m going to be next year or in five years. And that’s one of the tips for a successful career as reported by Fortune magazine. Tip 1 is “Don’t plan your career.” Embracing this philosophy has enabled me to take on new challenges when they presented themselves. I never expected to be a spokesperson for an urban police department. I never planned to work in a global environment. But when the opportunities presented themselves, I grabbed them. Which leads to another tip, “take risks.” My current and former position both forced me to work outside my comfort zone. The risks were worth it. I’ve learned about crisis management, donor relations, social media and SEO (search engine optimization). Along the way, I’ve studied, researched, learned and grown as an employee and leader. 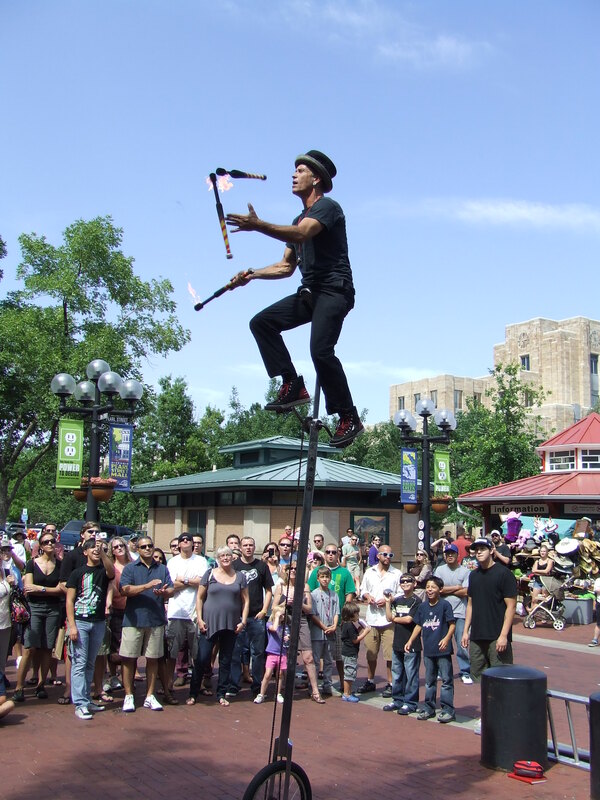 Another tip that really resonated with me was don’t balance, but juggle. I work a 10+-hour work day. I’m on several boards. I’m in a book club at work and outside of work. I don’t try for balance but I do juggle. I’ve just had an intense period of travel so I have not read the book club book (I cheated and listened to it instead), and I’ve relied on others at work to keep the pieces moving. It works. In a few weeks, I’ll slow down and have a quiet period where I can pursue my personal interests, including lots of reading. The weather will be perfect for it. My favorite tip is “give thanks.” I know I’m fortunate to have an amazing team at work and to serve on boards with individuals who contribute. I spent a few nights writing handwritten thank you notes to each NFPW board member who served with me. It was the least I could do to thank them for their service. When a team member goes above and beyond, I take them to lunch. His point is that we’re always putting off experiences or new habits waiting for a time that we think is better suited to our life. I read the book, at the recommendation of my business coach. I’m growing as a leader, but there is so much to learn. The overwhelming desire to add our two cents to every discussion. Once you have identified your bad habits, Goldsmith provides ways to change for the better, whether it’s through feedback, listening, thanking or following up. The listening section resonated with me. I’ve been working on that for a while. If someone comes into my office, I stop what I’m doing to hear what they have to say. I try not to offer a solution, but rather ask for their recommendation. During monthly meetings with team members, they drive the conversation. I listen and hear what team members have to say. They almost always touch on everything I would have asked about it, but because they drive the conversation I gain a better understanding of what’s most important to them and what might be causing concern for them. If you want to get to the next level and you aren’t afraid of being brutally honest about your habits, this book will help you. It’s not an easy journey, but it’s worth taking. NFPW just finished celebrating its 2011 communications contest winners and swearing in a new board. Congratulations to Lori, Teri, Marsha, Ellen and Marianne! This also means my two-year term as president has drawn to a close. It’s been an incredible two years. My campaign was SNAP! I chose to focus on Sustainability, Networking And Professional development. The term ended with NFPW solidly in the black with respect to finances. We’ve identified conference locations for the next few years. We’ve sustained membership (and now it’s time to grow it). A leadership manual was created. A blog started. Posts to Facebook and LinkedIn were used to connect us between conferences. Agenda was chock full of member profiles and career advice. And we’re pursuing an online communications contest. To do all of that required a time commitment on the part of each board member. Thank you for your commitment and service. shared their successes and I learned from them. Throughout the years, members (really, they are friends) have encouraged me, commiserated with me and laughed with me. NFPW had given me so much; it was time for me to give back. I sought out new members for my board. I knew that if they, too, could be involved with NFPW, they would develop an even stronger bond to the organization. I promised to sprinkle fairy dust to help her along the way. Here’s what she told me: “I am grateful to you for so many things: like giving me the opportunity to grow, professionally and personally; to step outside my box; to have the opportunity to visit new places; and to meet some extremely wonderful people…. I enjoyed the ball, too. Thank you for inviting me. The 2011 NFPW Conference is in full swing. Yesterday (Friday) was a busy day. We heard from not one, but two mayors. We learned about PolitiFact, heard from an expert on Afghanist and learned the basics of social media and getting our book published. We celebrated with beautiful music by the Hedgehog Fund and celebrated our COA, Beth Miller of Delaware Press Association. 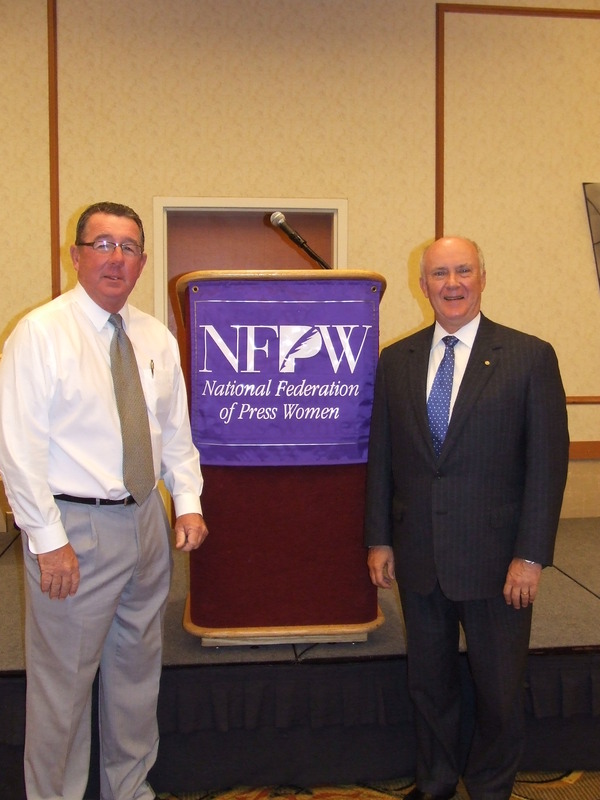 The Honorable Jim Suttle, Mayor of Omaho, and the Honorable Tom Hanafan, Mayor of Council Bluffs welcomed NFPW members to the 2011 conference. The two towns are separated by the Missouri River. No matter where NFPW members travel, they want to know the news. At this year’s conference, weahter has been a hot topic. 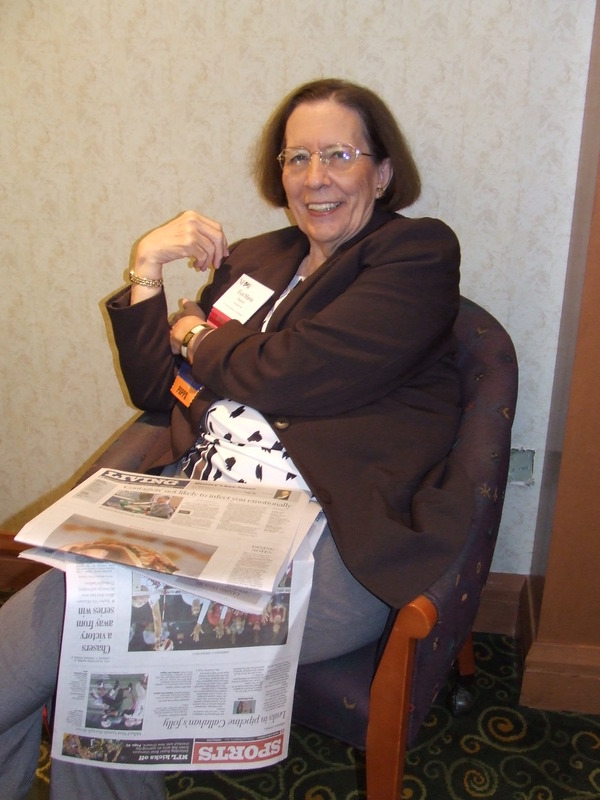 Eva Marie Pearson of Arkansas, took a break from the seminars to catch up on the day’s news. The Hedgehog Fund provided musical entertainment Friday before our COA banquet. The Hedgehog Fund is comprised of the husband and daughters of Nebraska Press Women member Stephanie Geery-Zink. 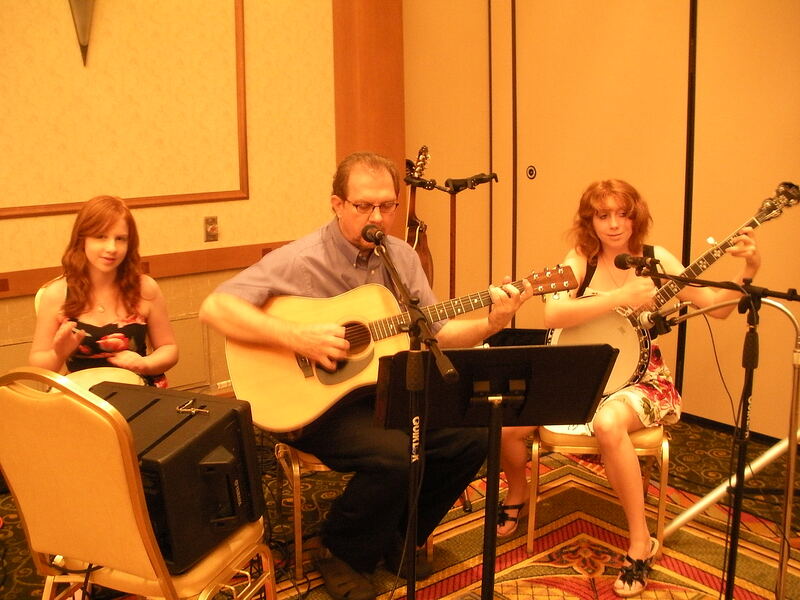 They feature cover songs in the acoustic American genre. Beth Miller of Delaware Press Association was named COA for 2011. She is a rporter for The News Journal Co., which publishes Delaware’s only statewide daily newspaper. Her work has included assignments to Yugoslavia, Afghanistan, Haiti and the Gulf Coast after Hurricane Katrina. She is a past president of the Delaware Press Association.